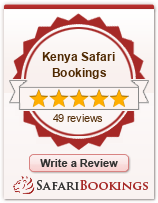 This is a 2 night / 3 day safari departing Arusha, that visits the Ngorongoro Conservation Area and Lake Manyara. An ideal quick safari to squeeze in after a climb of Mount Kilimanjaro, if you have a few days to spare before flying out. Today you will descend 2000 feet (0ver 600 meters) to the floor of the crater for a half day crater tour. Explore the forest areas that are inhabited by monkeys and elephant, the lake area, where you may see the flamingos and the open savannah where the lions hunt for food. Lunch at the lodge and then drive to Lake Manyara for dinner and overnight at the Lake Manyara Serena Lodge.